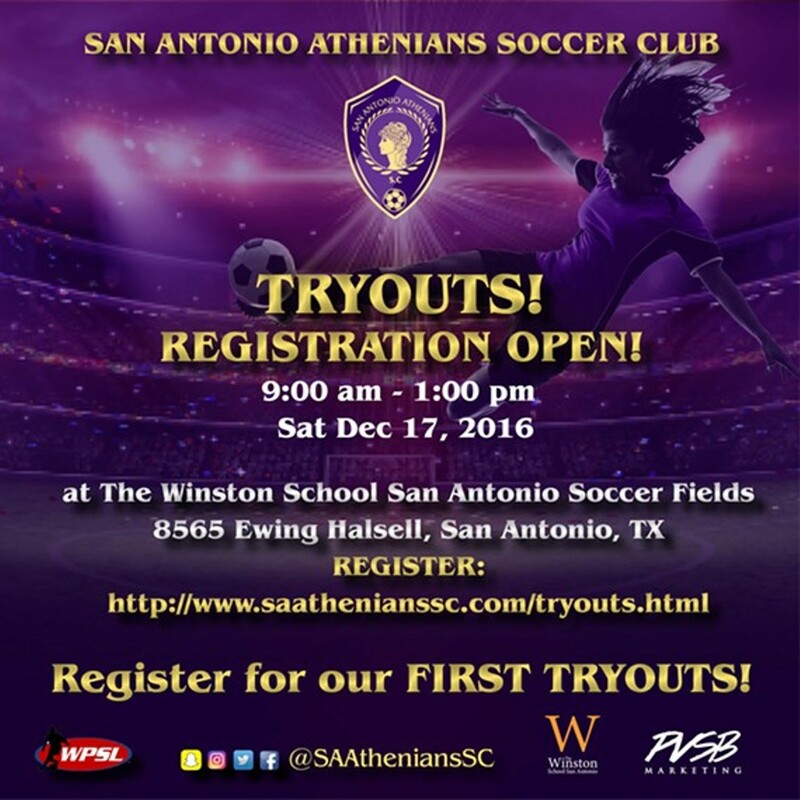 Tryouts for San Antonio Athenians Soccer Club (SAASC). San Antonio's first semi-pro women's soccer team that will play in the Women's Premier Soccer League(WPSL) in summer 2017. 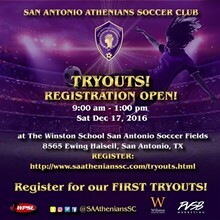 SAASC will feature top players from the San Antonio area including amateurs and collegiate, semi-pro and former professionals. Players must be aged 16+.